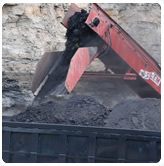 Tennessee Coal Reserves for Sale - Call today to schedule a personal tour! Excellent opportunity and investment to own Tennessee Coal Reserves now available for sale in Campbell County, Tennessee. Approx 30,000 mineral acres available with nine seams of coal (surface mine). Currently, the Rich Mountain Seam is presently permitted and mining is underway. Upon payment of an earnest money deposit, Seller will provide full access so that Purchaser may conduct its due dilligence examination. Did you know that coal provides 64.8% of Tennessee's power? Almost half of the electricty we use everyday comes from coal. The average retail price is 6.97 cents per kilowatt hour. This ranks Tennessee with the 15th-cheapeast electricity in the nation.